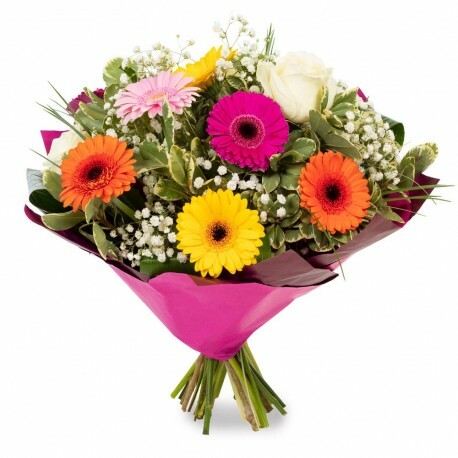 Send good vibes with this funky colourful collection of flowers to brighten their day. A wonderful gift for many occasions. Beautifully presented and personally delivered by a local florist.